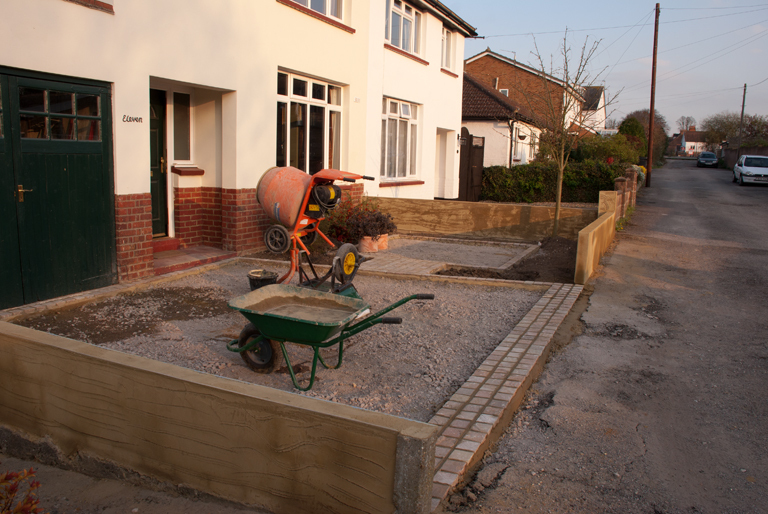 I hope you’ve been enjoying the last few blog posts about the construction of my front garden. The hard landscaping was finished yesterday and it’s looking gorgeous now even without plants in the ground or paint on the rendered walls. I wanted the share the last 2 days of construction with you because the transformation yesterday once the gravel went in was quite dramatic. Day 6 was all about pointing and rendering – it might not look like there was much progress following Day 5, but it toook Ben all day to finish laying the setts and for Robbie to scratch coat the remaining walls and start to put the top coat on. 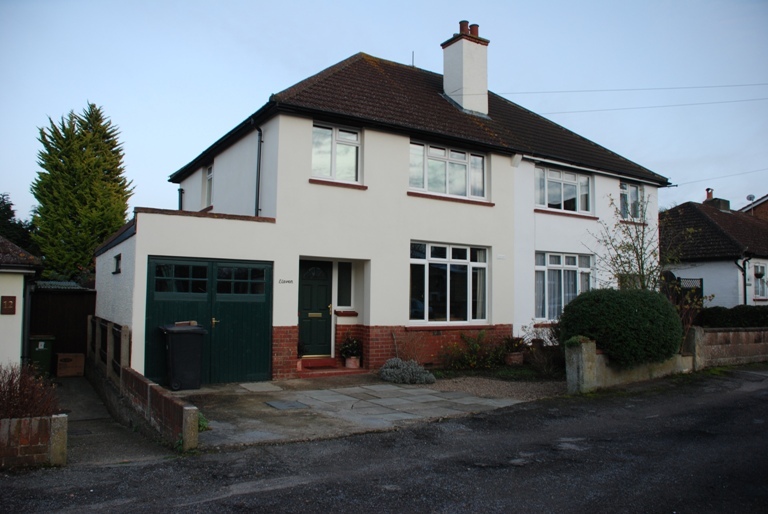 Because the front of the house is south facing and was quite hot in the afternoon it was a bit challenging to put the top coat of render on because it was drying quickly. 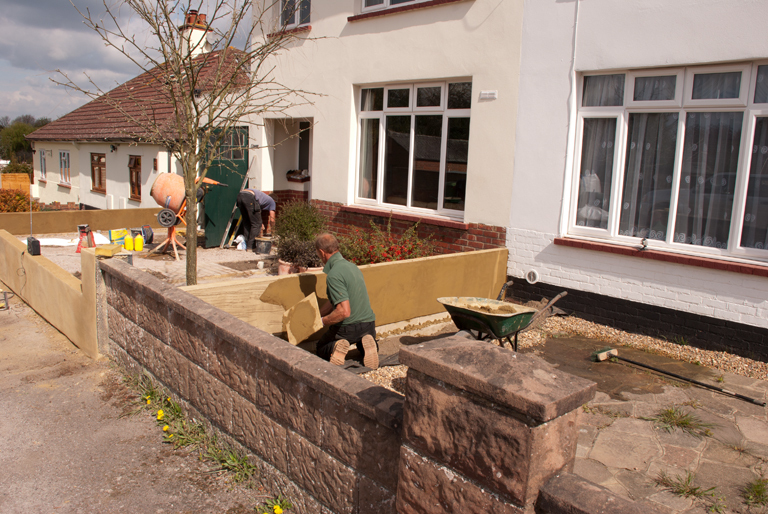 Yesterday was much cooler so it made finishing the render a much easier task and in the background of the picture below you can see Ben laying the paving on the threshold step. 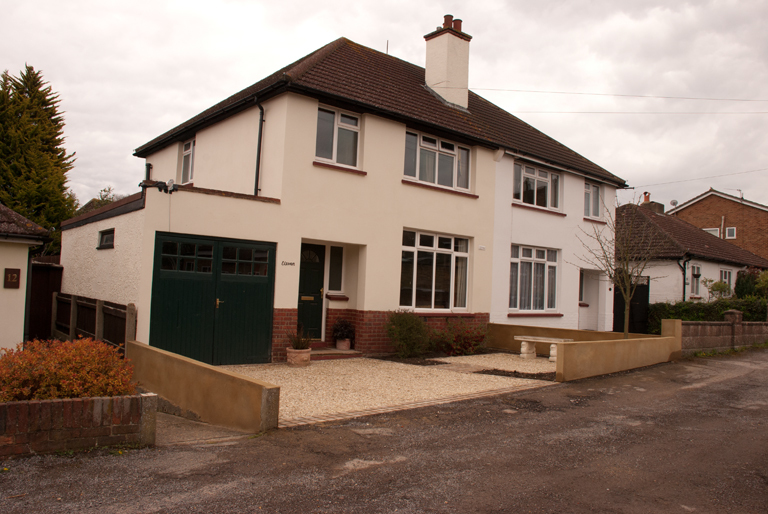 The aggregate we used is called Horcott and it’s brilliant because the stones are flat and therefore very stable. 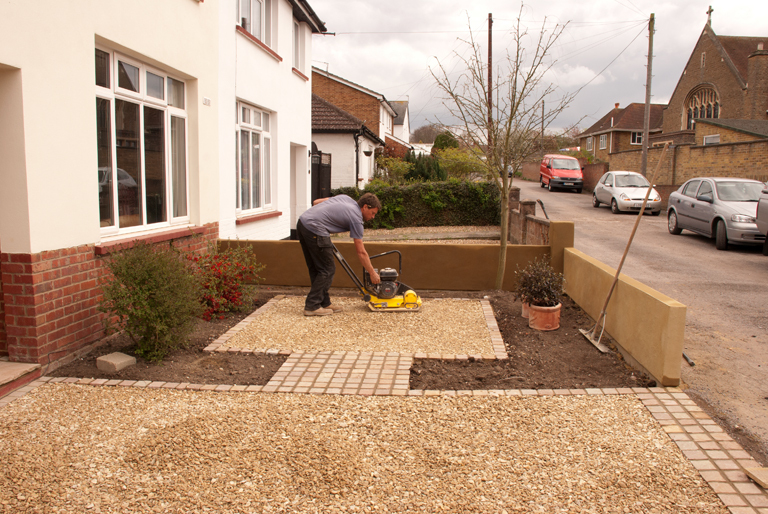 Using a whacker to compact the gravel helps to ensure that you have the correct amount in situ. 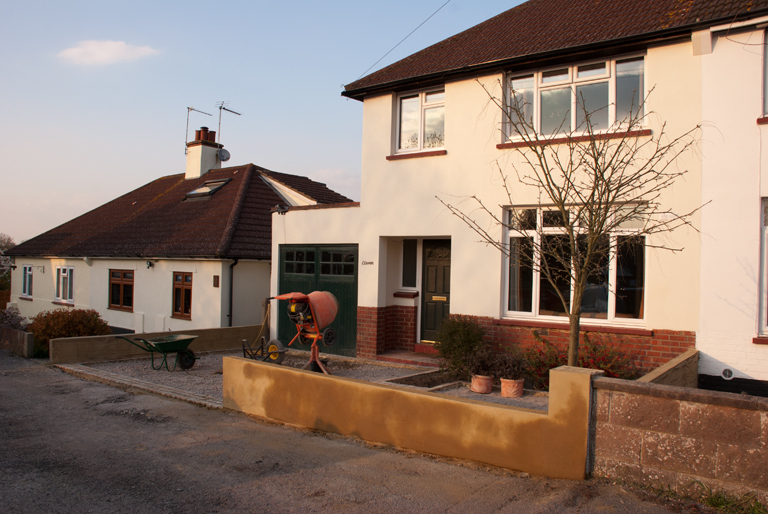 The walls will be painted once the render has had time to dry properly and of course it needs some plants to soften everything. We’re hoping to plant over the weekend if I get the chance to pop to the nursery tomorrow. We moved the stone bench round from the back garden and we also need to buy some pots to sit either side of it. Thanks Robert – just needs some plants to soften everything now! Looks fabulous Lisa, you must be so pleased. Can’t wait to see the plants etc too. Thanks Nicky – really pleased yes, can’t wait to get planting!